There’s a lot of ‘call to action’ posts on social media, however few take the time to explain why who we’re calling and why (i.e., the list of Senators sit on a specific committee reviewing a specific bill, etc.). The resources below assist individuals to take action but also provide information on the issue, scripts, and in the case of the mobile apps, allow individuals a tool to track legislation and their congressional members’ votes on that legislation. You may like one over another or use them in tandem. Some are more comprehensive than others. 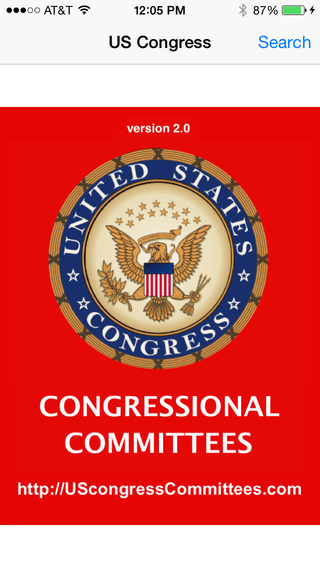 This page is dedicated to tools and phone apps that help individuals engage our congressional members and to track Congressional legislative activities .It will be updated as new resources are found. The goal: find the tools and apps you like and use them. Have a preferred app? Send the information using the Contact page. This page will be updated at least weekly as new resources and apps come online and are found to be useful. If you’ve got a resource or app to add, send an email to dinneratthegrange@gmail.com. Thanks! A newly-developed resource from The Town Hall Project 2018’s website is an effort to provide congressional members’ scheduled visits to their District or mobile offices and Town Halls (in person or conducted through conference calls). It was created by a group of volunteers or how often the site will be updated or how reliable the information is, so before venturing out, double check the information on the congressional member’s website. We know that making calls is the most effective way to engage your congressional members on a day-to-day basis. However, DC phone lines are overwhelmed, voicemail is full, etc. One way to get through is to call the District/local office. In addition, here’s a helpful tool. Use this free online fax resource to fax Senators and US House Representatives. The service isn’t perfect, but it is free and a good alternative to sending an email (that may or may not get read by your congressional member). See ResistBot in apps below – use it to craft and then fax messages to your congressional members – in your own words. Great new app. This Facebook site’s directory of progressive and liberal pages is exhaustive. Networking resource sharing opportunities are endless. As individuals, we have limited time and resources to take direct actions on a daily basis. Below are several sites which are useful to make the most efficient and effective use of our time each day. These sites identify issues and allow you to select the ones on which you’d like to engage. Text from your phone, app identifies your congressional members. You type a message off to them on a specific issue, piece of legislation, etc., and off it goes. THAT easy. Great new app. From the site: Resistbot turns your text messages into daily letters to Congress— in the simplest and easiest way possible. We are working hard behind the scenes to make sure they are delivered and that your representatives take them seriously. Unlike a lot of other tools, Resistbot doesn’t tell you what to say. Our research shows that form letters are totally ignored by Congress. Only original, unique messages count. But they don’t have to be complicated or fancy. Just a few sentences from a real-life voter gets their attention. Don’t worry about typos or mistakes, that just proves you’re a real person. Input your zip code into this site and call actions appear on the left. Click on an action and a summary of the issue, identification of your congressional member, and a suggested script appears. Folks can also sign up for a weekly reminder email with new action items. The goal is making five calls, but as you can see in the example below (image) there may be more than 5 calls to be made. Choose the issue(s) on which you wish to engage. Note: this site directs folks to the congressional members’ DC office numbers, not their local/mobile District offices. For the most impact, call the local/mobile District offices. Use this link to find your congressional members’ local/mobile District offices. From the site: The majority of our country believes in decency, in moderation, in sanity. Let’s not let the powers that be forget it. If we all band together against extremism and spend a few minutes a day using tools that have been proven to work, we can make a big difference in defending those values we share as Americans. Phoning our legislators, as New York Times recently reported*, is an extremely effective way to make our voices heard. That’s where the Daily Action alerts come in. We follow the news cycles closely to determine where we can collectively make the greatest impact. The point of Daily Action alerts is to make civic engagement easy and logistically painless. All you have to do is text the word DAILY to the number 228466 (A-C-T-I-O-N). From the site: We’re his problem now: Over 65 million Americans rejected Donald Trump on Election Day. What if we came together every day to fight for our vision of a diverse, inclusive America? Together, we can use our voices to remind Congress that they work for all of us. See more resources below for ACLU in the apps and training sections. This site includes direct actions led by the ACLU. From the site: For almost 100 years, the ACLU has worked to defend and preserve the individual rights and liberties guaranteed by the Constitution and laws of the United States. From the site: If extreme politicians get their way, 2.5 million patients per year will lose access to care at Planned Parenthood health centers. But we will fight like hell to stop these attacks — and we won’t back down. Here’s what you can do to stand with Planned Parenthood. This site provides an easy method for folks to contact their congressional members. It’s worth bookmarking and or signing up for alerts/notifications. From CREDO Action: CREDO Action organizes for progressive change. We mobilize our 5 million activists to speak out and pressure decision-makers from the local to the national level. From opposing war, to relentlessly defending reproductive freedom, protecting our environment and a healthy food system, fixing our broken democracy, fighting for an economy that works for everyone, and more, CREDO empowers activists to work for the change we want to see, not what we are told we can achieve by Washington insiders. Our activists have helped win historic victories for peace with Iran, real Net Neutrality, blocking the Keystone XL pipeline, Arctic offshore drilling and coal leasing on federal lands, raising the minimum wage, and blocking Wall Street cronies from political appointments — and that’s just in the last couple of years. This calendar was launched by Michael Moore on 2/20/17. Unlike the Indivisible calendar, however, folks can upload events and search by location to join events. From MM’s post today: Many large cities like New York, Seattle and Portland have excellent independent calendars online. My goal has been to have one all-encompassing national calendar covering even the smallest towns and villages. This calendar isn’t meant to replace anything out there that is doing great work, just add to it! A lot of you have asked me to put something like this together, so consider this as a simple contribution to the movement. It is crowdsourced, vetted and belongs to everyone. Let us know if you want to be part of the volunteer tech and curation team! From their site: If your group is planning an action, check this calendar for national or coordinated calls to action by other groups-you can increase your impact when you stand indivisible with people around the country. We include other progressive groups’ actions provided they look consistent with the principles of the guide: defensive, local congressional advocacy to stop Trump’s agenda. An important note: There is no single app or site that provides a one-click solution to have our voice heard by elected officials. Instead, these apps provide us with information that can frame the dialogue between when we talk to others and when we contact our congressional members. Some apps have ability to email congressional members on your behalf, but as your identity can’t be verified through the app, it’s best to skip the email and just make a call. Use these apps for what they are – tools to learn about and track legislative activities. With the information you learn from them, call your congressional member’s office. While not a true phone app, the site is invaluable, enables folks to sign up for alerts, and works well on mobile phones. Available for Congress and some state legislatures. From the app: VoteSpotter alerts you of important votes from your legislator. Each notification comes with a plain English description of the law so you understand what’s going on. From the app: The first and most advanced political directories for mobile devices. The leading mobile applications focused on providing up-to-date, vital information on members of the United States Congress, the administration, state governors, and state legislatures. Available on the App Store or Mobile Web. Now featuring our Enterprise Edition for government relations firms, media, corporations, agencies, embassies, and non-profits. From the site: Your government, made simple.Get clear, concise summaries of bills going through Congress, see what others think, then take action. Telling your reps how you feel is easier than ever with email and now video messages. Make your democracy more responsive! From the app developer: Instantly acquire contact information for both their Washington, DC and district office. Learn each Committee our Senate and House representatives participate on! The search feature is comprehensive and easy to use. Congress Member Name, Congress Member State – District – Party – Title. ACLU’s mobile app: iPhone and Android (check respective app stores – it’s free!). Head over to the ACLU’s Know Your Rights page to get information. This page has helpful material to inform citizens of their rights in various situations including when protesting and demonstrating, if they’re questioned about immigrant status, if stopped by the police, want to record the police, etc. ACLU’s People Power Resistance Training (recorded on 3/11/2017). The ACLU has created an action network for citizens to resist the current administration and GOP-lead congress. The training below focuses on explaining your rights when demonstrating and protesting and what you can do to protect yourself and your fellow Americans if questioned by the police or are the subject of an ICE raid. ACLU is asking for people to help develop Freedom Cities. ACLU’s “Freedom Cities” plan brings local grassroots activists together and provides a blueprint for local-level campaigns to defend our communities and block the worst abuses of the Trump administration. Go to PeoplePower.org for more information. This training is a motivational companion to the ACLU Know Your Rights information posted on on ACLU Nationwide’s site. Friends recently asked me to give a U.S. civics’ overview/refresher presentation. I am not an expert on federal legislative affairs (I’m a scientist!) but given my background and personal interest, I was happy to help. Turns out the group really liked it, so thought I’d provide it for others to watch. Dinner at the Grange’s U.S. Civics Overview PowerPoint presentation. The link takes you to DropBox where the presentation may be downloaded. It is a brief, basic refresher of the U.S. Constitution, checks and balances between our three branches of government, and focuses on how bills become law – with tips on how folks can get involved to lobby for (or against) a bill. Author: Eva Hagberg Fisher, Graphic Artist: Jason Snell. 2017. A Dinner at the Grange user forward this graphic to me. The flowchart is sound advice right down to contacting committee members. A great resource to share with others! I know, tiny, tiny print, so here’s the link to the Google Doc. Don’t know where to find legislation? See Dinner at the Grange’s Executive Order & Legislation page. Source: Author: Eva Hagberg Fisher, Graphic Artist: Jason Snell. 2017. From the Albert Einstein Institution site: Practitioners of nonviolent struggle have an entire arsenal of “nonviolent weapons” at their disposal. Listed below are 198 of them, classified into three broad categories: nonviolent protest and persuasion, noncooperation (social, economic, and political), and nonviolent intervention. A description and historical examples of each can be found in volume two of The Politics of Nonviolent Action, by Gene Sharp.